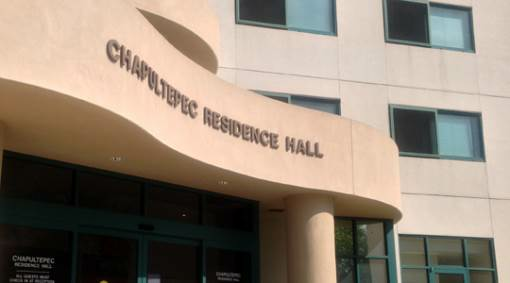 SDSU has a limited number of on campus rooms available to guests of University departments. Guest rooms are available during academic year only. Rooms will be available August 24, 2015 - May 13, 2016. Each guest room contains a double bed, study area and private bath. Rooms are equipped with a TV, microwave, small refrigerator, iron and ironing board and Wi-Fi. Guest rooms are located in residence halls but are set apart from student quarters. 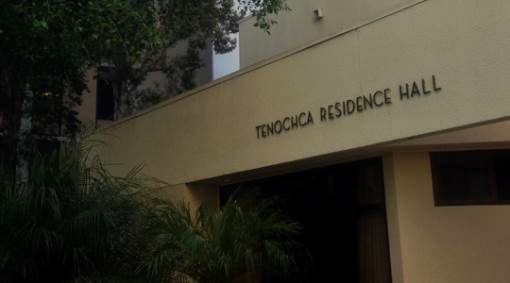 Residence halls are secured at all times. Please call the front desk (open 24 hours) for assistance with entering the building if needed.